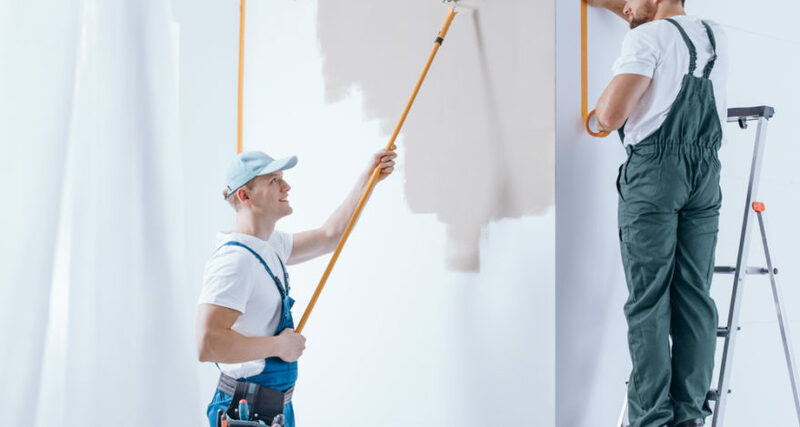 Painting is a popular DIY task for homeowners, but it’s also a task that not all of us have the time, skills, or patience to pull off successfully. Tricky spaces and special painting effects require a professional hand in order to create a polished finish that will stand the test of time. But when it comes to hiring a painter, how can you make sure that you get it right? What should you look for when comparing painting contractors and quotes? We’ve put together a handy checklist to help you get all the answers you need. Deciding where you want to paint is the very first thing step. Before you start searching for a painter, you’ll need to assess your home and create a list of the areas that need painting. If your budget is tight, you might choose to only paint the main areas or most visible spots for now. However, it’s worth keeping in mind that you will probably end up paying more by splitting the project up. If you’re repainting a room, ensure that there are no other jobs that need to be done beforehand. For example, installing a new door, repairing mouldings or fixing some damaged drywall are tasks that are best done before painting work starts. Your chosen painter should be able to advise on what jobs should be completed first. You’ll need to let your painter know what type and colour of paint you’ve chosen for the job. Now’s the time to consider colours, whether you want a matte or gloss finish, and whether protective coatings will be necessary. We suggest visiting paint supply or hardware stores, picking up a collection of swatches, and taking the time to see which paint best suits your home. Make sure that you look at the swatches in different lighting to see how it either complements or clashes with the other colours already in the space. You’re ready to start looking for a painter! When you do so, take the time to look at the photo galleries to get a feel for their services. Always consider their conditions, such as any warranties and inclusions or exclusions of their pricing. The cost of painting work depends on a number of factors, including what it is that you want painted, what paint you need and when you need the job completed. Ensure that you include all of this information in your quote request. Don’t necessarily pick the cheapest quote – choose the contractor who understands your needs, who can get it done on time and to budget or who provides the greatest value. It may cost more for a premium product, but the results may be well worth the extra up-front cost. To get a quote for your painting project from APMG Painting Melbourne, call or email us today.